It is a task scheduler that uses the same format as the unix cron service. 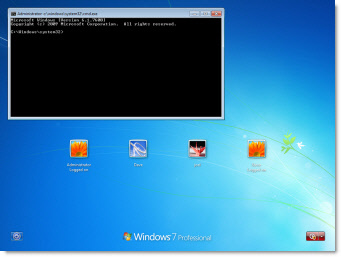 The motivation for this tool was that the task scheduler built into windows did not have a good way of moving jobs from one computer to another. 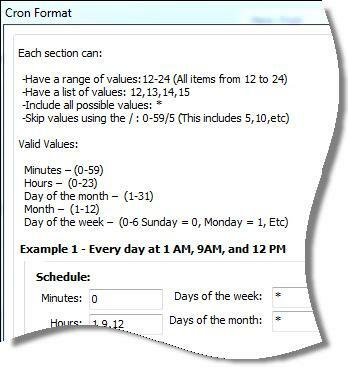 With our cron service, you can setup your list of jobs and easily copy the ‘crontab’ file to other servers – the cron service instantly sees the change. No messing around in the registry. -All processes executed in the service context. That means you can never run a visual application, and your scripts cannot access network drives. -No easy way to edit the file – Just notepad.exe. Why not have a nice job editing tool? Think of all the scripts you wish you could run that either need to at least show one small progress window…or access a network drive – even if a user was logged off. Now with IntelliAdmin Cron 2.0 you can do it. Yea, we thought so too. All of these options will be added to the Remote Execute action of Network Administrator in a few weeks – Buy it now and it will be a free update. The service watches the crontab file, so all changes are immediate. We have made a change to the format (It will accept the old format too) to accommodate our execution options. * * * * * "c:\temp\test.vbs"
* * * * * 121 "c:\temp\test.vbs"
32 = The process will be executed in all RDP sessions. The second argument is the service name..don’t forget to include that. The crontab edit tool just needs to be run in the same folder as the crontab file, but is not required for its operation. Finally, this is totally free for commercial and personal use. Click here to get it now from our download page. Enjoy the IntelliAdmin software goodnees – and as always no spyware or badware. I could be wrong, but I think the earlier question from Relinson was about not wanting the job to launch again if the current one is still running, and I know that is my desire at times. It comes up, for example, when using the scheduler to run a fairly frequent polling job with an unknown amount of work to do, and I believe is how windows task manager behaves. It would be nice to have this as an option. Thanks for taking the time to comment Jim. Totally agree here. We will make sure to put this on the request list as well. Any tips on how to deploy this remotely to hundreds of workstations? Tried just copying the folder but that didn’t put the services on the machine. Tried running the serviceapp installer from cli, that didn’t put the service in the services list either. Must be doing something wrong. I noticed you mentioned it was going to be included with Network Administrator, but have not seen it make its way there yet. Is this still the plan? Actually it has. What I meant was the remote execute engine. The ability to launch into another session..or as a service. 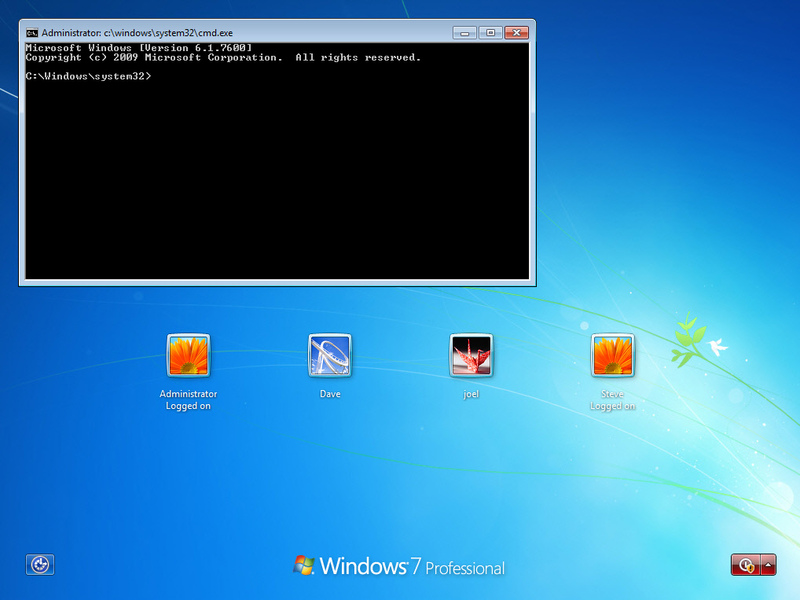 It is all in the current version of Network Administrator under the remote execute plugin. Where are the log files stored? I’m not seeing any and am wondering if I’m looking in the wrong place, missing a flag or argument? There should be a log file in the same folder as the installation directory. Is there any way to specify the location of the crontab file? I’d like to put it somewhere other than buried under Program Files. Thanks. I seem to be having difficulty in restricting the jobs to run only on Sundays. Wouldn’t I just enter 0 in the “Days of the Week” field? I’ve tried toggling between different values including restricting Mondays (/1)etc. but the scripts seem to always run regardless the day. Any ideas? First of all, I would like to thank mr. Wiseman, because product is really great. I have a cmd script that will just flash up at the specified time but not actaully run. The script calls rsync whihc runs under cygwin. When you excute the script manually in a windows command console, the cmd script runs fine. Please open source this project. It’s been well over a year since the last release and is a solid implementation – but should be open to community contribution and improvements! Do you support comments within the CRONTAB file? Another version of acron service I used to use allowed for comments via a “#” character at the beginning of a line. Comments can be very handy for really big and multi-use CRTONTAB files. It should have been executed on the 6th every month at 12:53h, but it doesn’t work. When I change the “6” to “*” then it works, but every day and that’s not my goal. You are right. There is a bug. I had someone take a look, and fix the issue. I want the jobs to run as a domain admin as they will access remote servers. I have tried setting the service to run as the domain admin account but still no luck. Any ideas? I’m trying to cron a PHP script on my WIMP server. It doesn’t seem to work as IntelliAdmin Cron Service is running as “Local System” which doesn’t have permission to run PHP.EXE. What’s the best fix for this? Many thanks for a very useful app. Note: I can run the script from the command line. I have also tried calling it via a batch file. The batch file runs but the PHP script doesn’t. By the way, is there a way to get it to pop up a window so I can see the script run? It’s not quite clear to me from the manual above. Try this. 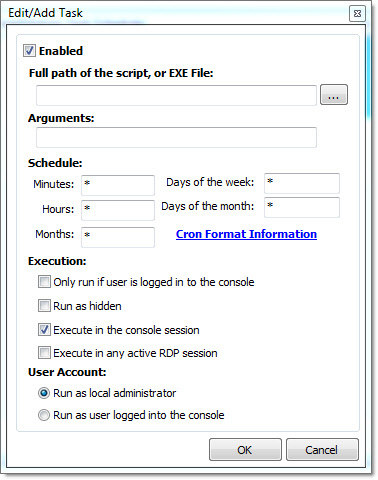 Use the cron tab settings app and tell it to Execute in the console session. Run it through a bat file with a pause. This should bring up a window in the console session. but I had to create a local user (CronUser) and give it file system security privileges on both php.exe and (for convenience) the whole web directory tree. Is this what I should expect? my cronjobs are always executed twice. What is wrong? You have option 33 which tells it to execute in all sessions. Looks like it is executing in session zero, and session 2. Change it to 1 instead of 33 and it will run once. We now have to wait for a few weeks to see if this was the result.